Stonemasons with the George at Hyde Bank Tunnel. 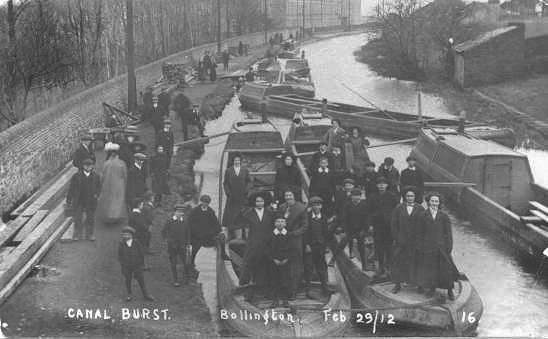 This is almost certainly the same gang as in the previous picture but with a different boat. This is the Lillie and has a crane mounted in the centre of the hold. 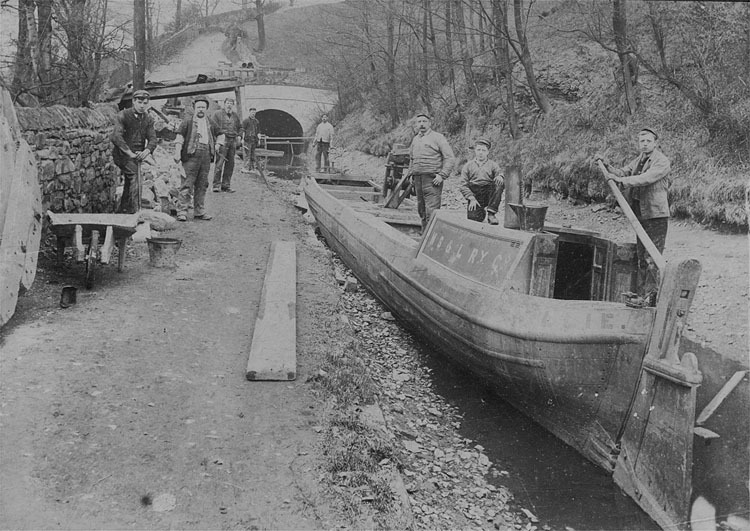 An interesting selection of maintenance craft in 1912 near the Adelphi Mill, Bollington. The right hand boat of the pair in the foreground is No.26 Venus whilst the left hand one is No.5 Sophia. The boat lying across the canal is No.18 Agnes. 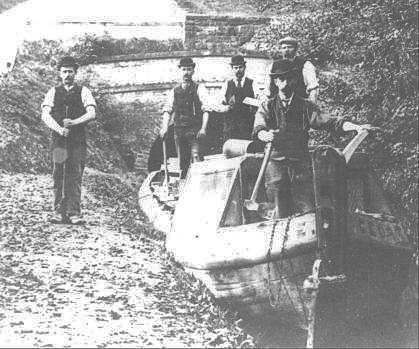 The rearmost boat appears to have a full length cabin and may be some form of messing or dormitory provision for canal staff involved in protracted emergency works such as the breach featured here. 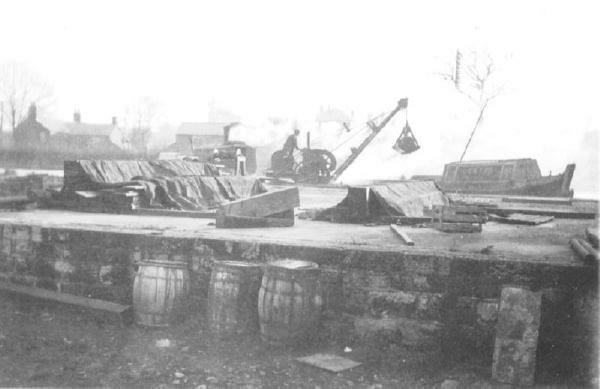 Dredging in progress at Congleton Wharf on 10th December 1935. The steam dredger Joseph is loading maintenance boat No.9 Emma. This boat was reported as worn out in 1933 and sunk in October 1937. The use of old worn out boats as mud boats avoided damaging better assets and this was probably the fate of many work boats at the end of their useful lives. Two boats at Buxton Road Wharf, Macclesfield in 1947 with No.35 Henry in the foreground. The far boat is once again fitted with a crane. 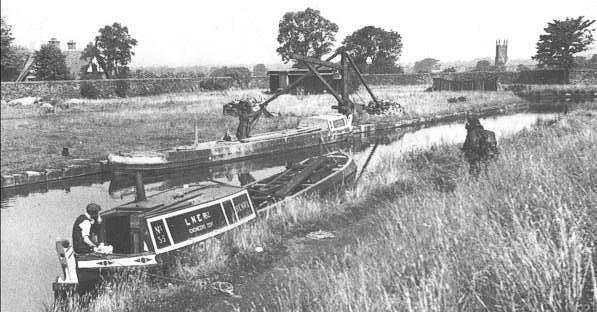 Note the Canal Company's crane on the wharf which has obviously seen little work for many years. Although taken against the light this 1960's view of Trojan at Fool's Nook creates a very atmospheric image. 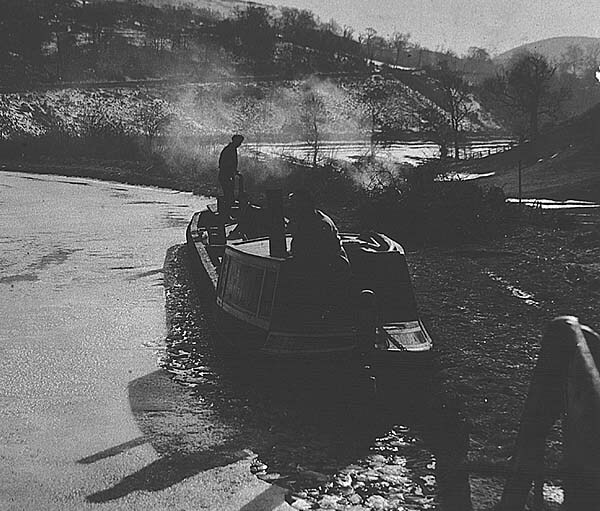 This former Anderton Company boat was broken up in 1975 at Whaley Bridge in the Bugsworth Arm where it had laid derelict for some years. 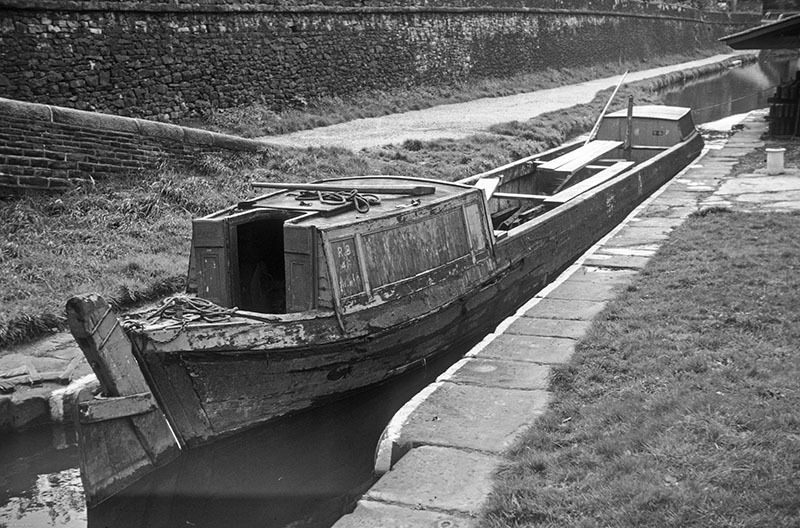 Trojan again, this time looking somewhat careworn in the stop lock narrows at Marple on the Macclesfield Canal in 1966.